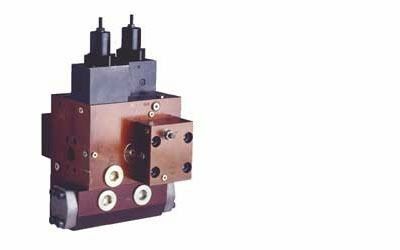 Hägglunds motion control valves have various models, depending onthe required functions. Those functions include displacement shift,with yields twice the speed with the same flow of oil, free circulation mode, which enables the motor to be turned on or off with the machine in motion, and freewheeling mode, which is usually used for shooting out the net in case of trawling applications. Most of these valves can be used for open systems and also for closed systems. There is also a control valve, used in case of open systems, which provides a counterbalance function for winches.